Situated in the northeast corner of the country and in the southeastern part of the Songnen Plain, Harbin is the capital city of Heilongjiang Province and serves as the political, economic and cultural center of the region. The city is also known as "the city of ice" due to its cold climate and the elegant ice sculpture festival in winter. In the late 19th century, because of the heavy investment brought by Russia, the city quickly prospered. Because of this, the city holds a multicultural feature and still plays an important role in trading between Russia and China today. This is also reflected by the city's architecture and living style. Harbin was declared to be a UNESCO City of Music in 2010. The Russian Orthodox Saint Sofia Church, the Harbin Ice and Snow Theme Park, Site of New Jewish Synagogue are the main tourists attraction of the city. The location of the Harbin Modern Hotel is excellent, within less than a kilometer you can reach the main pedestrian area. The hotel name suggests differently but the Harbin Modern Hotel is established in a historical building. The 141 rooms of this hotel are well equipped with modern amenities. Several point of interest are in the vicinity of the Harbin Modern Hotel the Food Market near JingWei street, Church of Street Sophia, Zaolin Park and of course an mentioned before Central Street. Harbin Modern Hotel in Harbin! 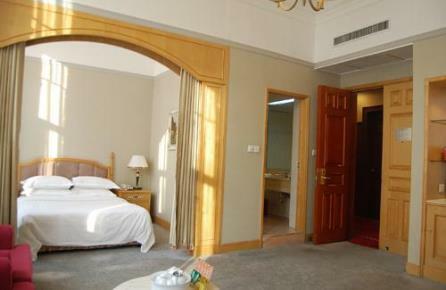 The Friendship Palace Hotel is a great choice for your stay in Harbin. Located on the south bank of the Songhua River, the Friendship Palace Hotel is situated in the city center of Harbin, several parks are in the vicinity of the hotel, the scenic Zaolin Park is the most well-known one. This park is at walking distance from the hotel. During the Ice Festival this Park is one of the locations to see great ice sculptures. Other sightseeing's near the Friendship Palace Hotel are Central Street, Church of street Sophia, Sophia's Square and the Russian Orthodox Church. Friendship Palace Hotel in Harbin! In general the Harbin Russia International Youth Hostel will attract a bit younger crowd. The 40 rooms of this hostel have basic facilities and are clean. The charm of this hotel is not its interior but the location. In the surrounding of the hotel you can find many interesting attractions to visit. For shopping go to Central Street or visit for some food the nearby food market. 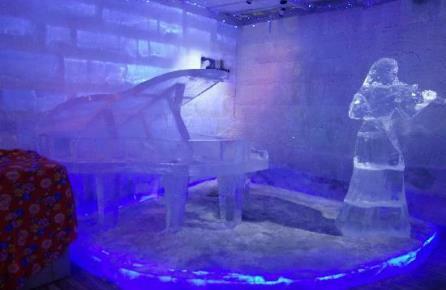 At 3 kilometers of the hotel are the Harbin Ice and Snow World and the Snow Sculpture Art Expo. The Shangri la hotel in Harbin is a large hotel with over 400 rooms, this doesn't mean that the Shangri la hotel is not charming and cozy in contrary the comfortable and luxurious rooms will make you feel at home immediately. Located in the Daoli District of Harbin, near the Harbin Songhuaijing Highway Bridge and with a beautiful view over the Songhuaij River, the Shangri la hotel Harbin is a great start for your city exploration. The attractions closest to the hotel are Harbin Ice and Snow Show and the Cable Car. Shangri La Hotel in Harbin! With a great view over the city, the Sofitel Wanda Harbin Hotel is, especially during the Ice Festival, an excellent choice, Although the Sofitel Wanda Harbin Hotel is a large hotel it doesn't lose its charm. The luxurious rooms are treat to stay. Located next to the Harbin International Golf Club, the hotel gives you easy access to the major attractions of Harbin such as Central Street, Church of street Sophia, Sophia's Square, Guogeli street and Heilongjiang TV Station. Sofitel Wanda Harbin Hotel in Harbin! 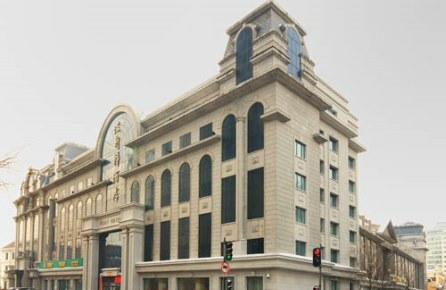 The Harbin Post Hotel is a medium size hotel in the Nangang District of Harbin. The hotel interior and the hotel rooms are decorated in an romantic, French style. The rooms are specious and equipped with all facilities you might expect from a hotel this size. Located near the train station it is easy to reach, from the Harbin Post Hotel is surrounded by shopping areas and even Central street is not far away from het Harbin Post Hotel. Harbin Post Hotel in Harbin! For luxury and romance the Harbin tainzhi hotel might not the best choice but location wise this hotel is an excellent choice for your stay in Harbin. Located in the heart of the Daoli district many major touristic attraction are at walking distance of the Harbin Tianzhi Hotel. The main pedestrian street (Central Street) is only a few minutes walking away. During the Ice festival it is great to visit Zaolin Park where you can see many colorful and beautiful ice sculptures. Harbin Tianzhi Hotel in Harbin! Almost 40 kilometers away from the city center of Harbin, the Harbin Jinbaoli hotel is an great option for travelers who prefer to stay outside of the city center. 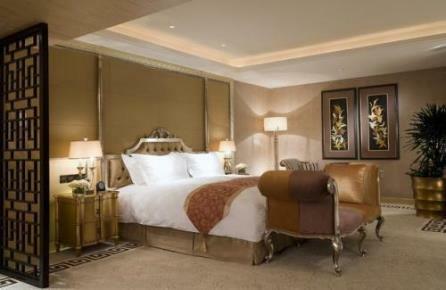 The Harbin Jinbaoli offers 64 rooms, the rooms are charming decorated and you will feel at home in this hotel. What to do if you stay in this hotel? Yueliangwan Ski Resort, Taiyangdao Park and Sun Island Park are all-in the vicinity of the Harbin Jinbaoli Hotel. Harbin Jinbaoli Hotel in Harbin! 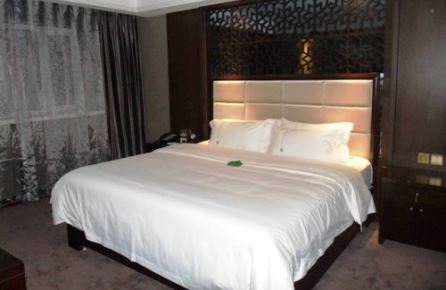 The Motel 168 Harbin Hongqi is an excellent choice for your stay in Harbin, this relatively small and charming hotel offers guests a warm and pleasant atmosphere. 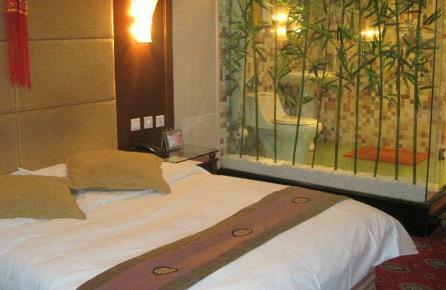 The rooms are well maintained and comfortable. 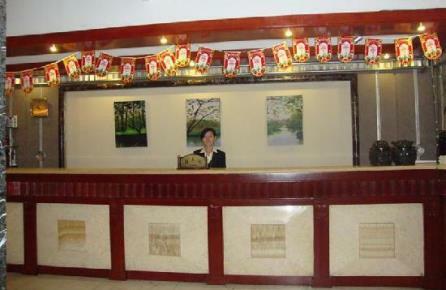 The motel is located near the Xiangfang railroad station in the Xiangfang district of Harbin. 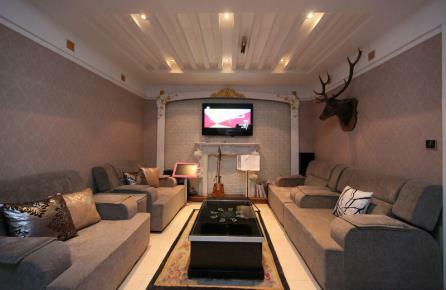 Several attractions are just steps away from the Motel 168 Harbin Hongqi. The most famous points of interests are Heilongjiang TV Station, Qiulin Shopping Center and Heilongjiang Museum. Motel 168 Harbin Hongqi in Harbin! 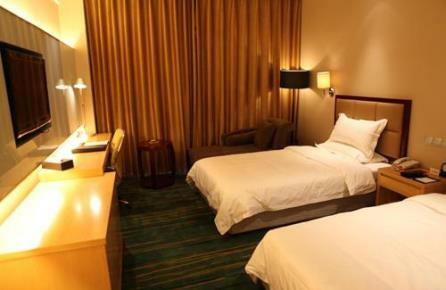 The GreenTree Inn Harbin Central Avenue might not be the best hotel in which you have stayed however the location of the GreenTree Inn Harbin Central Avenue is perfect and the rooms are large and clean. For good shopping go to Central Street which is at only 800 meters of the hotel. During the Ice Festival Zaolin Park is a good place to see the ice sculptures, other interesting spots near the hotel are Church of street Sophia, Sophia's Square and the Russian Orthodox Church. GreenTree Inn Harbin Central Avenue in Harbin!